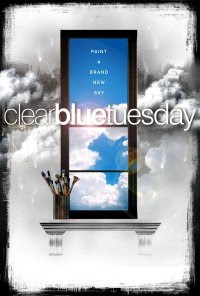 An Indie pop/rock movie musical, Clear Blue Tuesday explores the lives of eleven New Yorkers after Sept. 11 forces them to examine why they moved to New York and whether they'll stay. It sprawls over the course of six years, each year on a Tuesday in September, as they try to achieve the dreams that drew them to the city. From the press notes: Through personal journeys, Clear Blue Tuesday explores the difference between the goals we pursue and what makes us happy and how the expanding gap between the two becomes more visible against the backdrop of catastrophic world events. The movie cast is composed of a plethora of theatre actors Erin Hill, Vedant Gokhale, Cassandra Kubinski, Brother Love, Jeremy Schonfeld, Julie Danao-Salkin, Jan O'Dell, Greg Naughton, Asa Somers, Becca Ayers and Robert Hager. Plus cameos from Kelli O'Hara, James Naughton, Julia Murney and Christopher Hanke to name a few. To check out the trailer click here (be patient it takes time to load). There is a premiere on Sept. 10 in NYC according to this post by one of the cast but more info from this page.